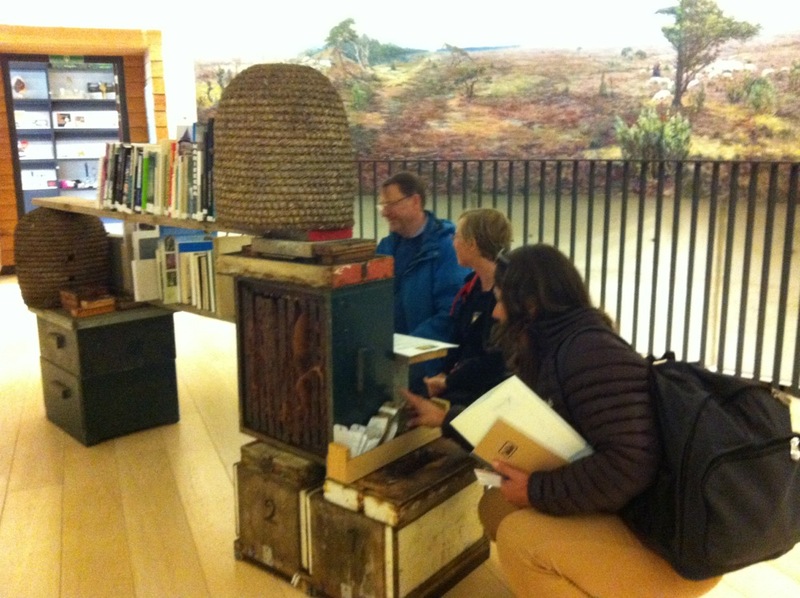 The Walking Library has been presented in several different contexts. The library contents are curated based on suggestions or donations of what books people think are good to take on that particular walk in that particular context. These are then carried in rucksacks with readings given on the move in shifting contexts along a journey. The library is sometimes installed for public browsing and remains with the commissioning organisation as a future resource. The materials used for installing the library are those found on the site or related to its surroundings. 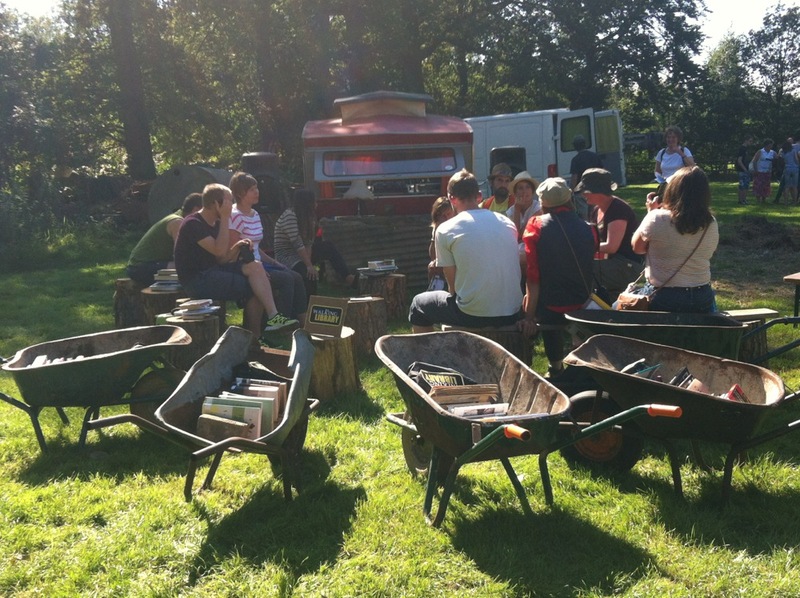 Each library structure prompts different engagements from readers – a library of straw bales enticing individuals to snuggle in with a book, in their own quiet space; a mobile wheelbarrow library encouraging browsing while interacting sociably over drinks and food. Scroll down from the Projects tab to find more details about previous Walking Library projects.